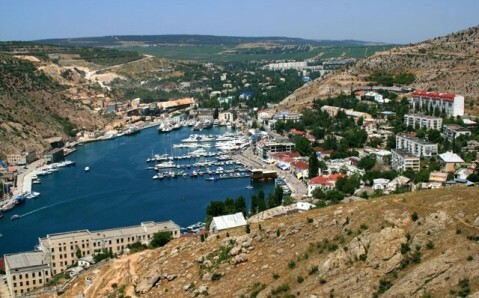 Balaklava is a small town near Sevastopol, nestled on the coast of an extremely beautiful bay. This serene harbor, hidden from strangers’ eyes by jagged mountains, is a unique piece of nature. 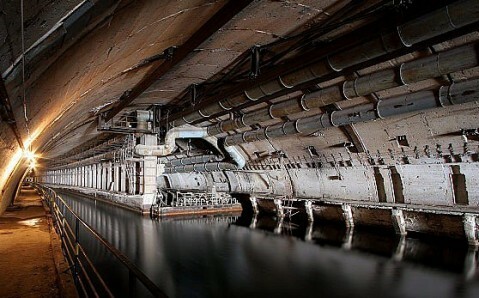 Due to its favorable location it, it sheltered different peoples for thousands of years, and in the post-WWII period, it became a secret base for Soviet submarines. 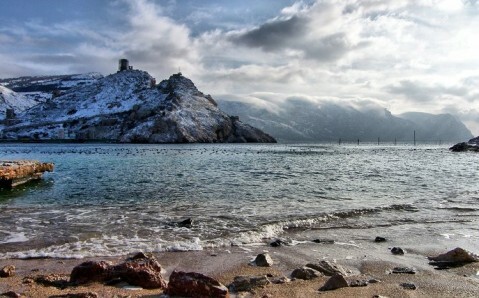 Today, Balaklava, with its amazing landscapes, monuments, and beaches is a popular Crimean resort. This fairytale place was always steeped in legends and mysteries. One of them comes from Homer's Odyssey, as the protagonist met the bloodthirsty Laestrygonians here. Another is connected with the treasures of the English steamer ‘Prince’ whose remains lie at the bottom of the harbor. During its 2,500-year history, Balaklava often became the stage for grisly battles that shaped the destiny of different states. In the 14th century, the Genoese settled on the harbor’s coast; they built the Cembalo fortress here, whose majestic ruins still look over the bay. 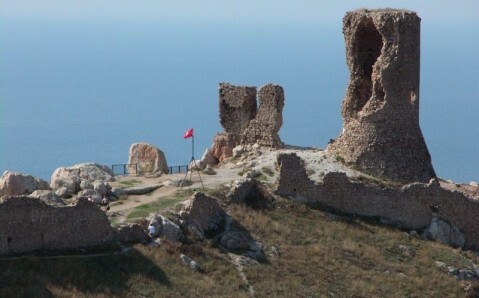 Another landmark that Balaklava inherited from the Italians is the Temple of Twelve Apostles, which has survived until today and is a unique monument of medieval architecture. A century later, the Turks were ruling over Balaklava’s territory. 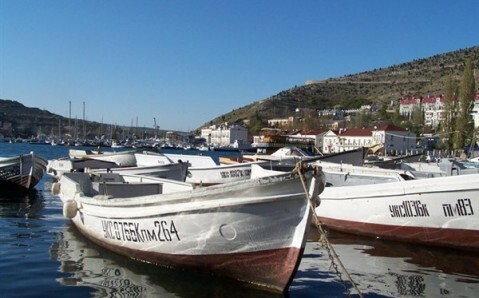 By the way, it was the Turks who gave the bay its name: then, it was pronounced as Balik-Uve (‘fish nest’ in Turkish). In the late 18th century, after the Russian Empire took Crimea, Balaklava Bay became a Russian navy base. During the bloody Crimean War, English forces were stationed at Balaklava. In two years, the Englishmen built a boardwalk, which is still a popular place for tourists to stroll. They also opened shops, pubs, hotels, and more here. At that time, Balaklava was called ‘Little London.’ A memorial plaque, 'Balaklava 1854,' is in the British capital today. Balaklava Bay also played important role during World War II. After it ended, a secret naval base, the so-called ‘Object 825,’ was built here. The underground submarine maintenance plant, built inside a rock, was designed to survive even a nuclear explosion. After the collapse of the Soviet Union, the submarines left the bay, and this unique plant was looted. 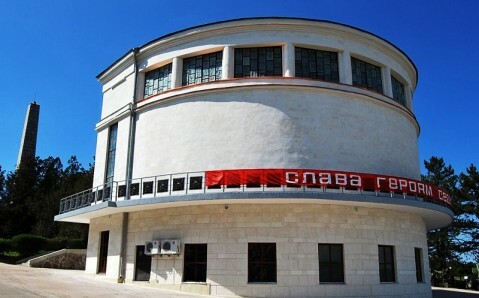 Today, the Cold War Museum occupies the former base. For a long time, Balaklava was a closed town. But today, it welcomes tourists from all over the world. They are attracted not only by the splendid landscapes and the ancient history of this area, but also by its gorgeous beaches and terrific views of Cape Aya. 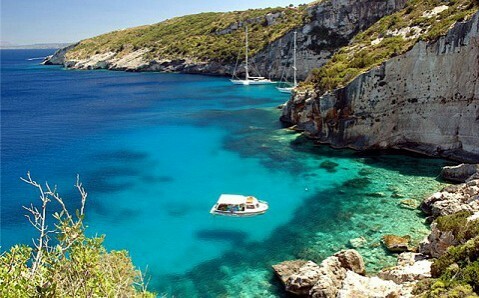 The most famous beaches of the Balaklava Bay are the Golden and the Silver. You can reach them only by sea: on a yacht or a fishing vessel. 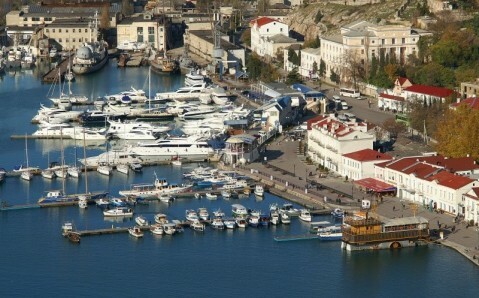 Balaklava also attracts lovers of yachting and diving! Getting there. From Sevastopol - from the bus stop ‘5th kilometer’ (edge of the city) by bus or taxi (20 minutes). Очень нравится кухня этого ресторана, обслуживание достойное. Все очень вкусно, мы даже не смогли определиться что вкуснее! Еда как еда, вид хороший. Любят майонезик. Все так вкусно.... Но выключите живую музыку позязя! Хороший ресторан. Узнавайте какая рыба свежая и берите под вино. Уху под водку. Баранина с булгуром вкусная. Маковый десерт. Отличное обслуживание! Стол, конечно, нужно выбирать снаружи, с видом на бухту. Вкусная свежевыловленная рыба, уха. Приятное обслуживание, вкусная еда, особенно султанка и уха по-балаклавски, хороший вид на бухту. Уха Деликатесная, очень вкусно!!! Приятное место, вид из окна на бухту, горы, впечатляет!!! Мидии жареные с луком, рапаны в сливочном соусе, шкара... Все очень вкусно. Вид с терассы крут. А интерьер и музыка так себе. Спрашивайте свежую и местную рыбу! Самое лучшее место!!! Уже много-много лет - это самый любимый ресторан!!! Всегда свежая рыба и обслуживание на высшем уровне!! Спасибо, что вы есть!!! Отличное заведение!! Осетрина в коньячном соусе выше всяческих похвал!! Принесли уху, но забыли стопку. Эффект и вкус смазан, но все равно вкусно. Заказали два блина с маслом. Принесли два крошечных прозрачных ломтиками теста и огромный шмат масла. Печаль. Очень вкусная султанка (барабулька) жареная и салат с рапанами. Обслуживание - оч хорошо! Отличный рыбный ресторан с хорошим видом на бухту и террасой. Нужно спрашивать какая рыба самая свежая и заказывать ее в жареном виде. Отдельное счастье - уха с рюмкой. Уютный интерьер, но без изысков. Кормят очень вкусно! Обслуживание отличное, спасибо официантке Марине. Если хочешь вкусной рыбы-это то место! Обслуживание на высоте! From the bloodthirsty pirates featuring in Homer’s Odyssey to the Soviet nuclear submarine fleet – everyone used this beautiful curving fjord, invisible from the sea, as a secret hideout. 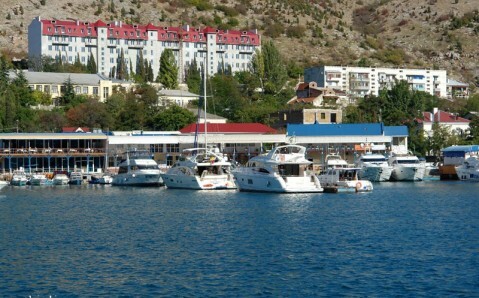 Nowadays, the bay’s turquoise waters surrounded by arid, scrub-covered hills shelter an armada of yachts, while pretty much the entire Ukrainian navy is tucked in the far corner. Вкуснейшая рыба и хорошее обслуживание. Wi-fi в наличии. Отлично! Но вино на пробу не дают((. Очень хорошее обслуживание. И всем рекомендую салат "Мечта мужчины"